Yo-kai Watch Busters 2: Treasure Legend Banbaraya will launch for 3DS in Japan in Sword and Magnum versions on December 7 in Japan for 5,184 yen each. There will be a new item called a “Treasure Gear” that you can use to clear dungeons, and each version will have its own medal bundled with it. 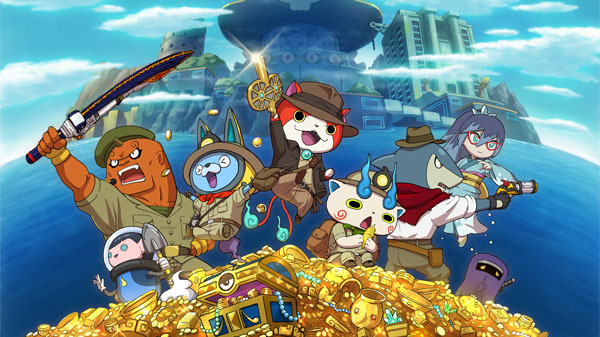 Yo-kai Watch Busters 2 is set on the new “Karakuri Island,” where the treasure of a pirate king rests. Karakuri Island is a mysterious island with extravagant treasures and where dangerous yo-kai lie in wait.